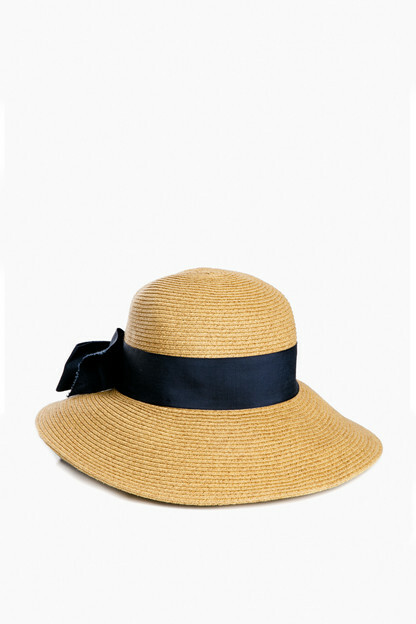 This bow-trimmed hat offers pretty protection from the sun. Wear to the beach with your favorite tunic for a classic, feminine (and practical) finishing touch. The best part? It's packable and keeps its shape. I am very pleased with the fit and look of this hat. The brim isn’t too wide and the bow adds a beautiful, classic touch. This will be a staple for me this summer! This hat is perfect! Whether you're on the beach or enjoying your backyard this hat (add monogram!) will always get compliment. Love this hat! It is very well made and stylish. Can’t wait for the beach weather to pick back up! Sassy and crushable...packed for a road trip from SC to Maine...pristine upon arrival! Grosgrain and monogram add a touch of elegance to a very practical topper! I decided to buy this hat because it was SO great looking and I could monogram the bow! The fact that it could also fold into my suitcase for my son's wedding in Cancun, made it a "done deal"! I've received compliments every time I've worn this adorable hat! Love the bow, love that it's packable. I actually found the hat to be a little tight on the sides when I first put it on, but after a half hour it wasn't an issue. Would definitely recommend! I absolutely love this hat. I feel like I’m on the coast of New England whenever I wear it! It’s perfect for a day at the beach or pool, and completes any outfit. The bow is darling!! Highly recommend, worth the cost! This is the best summer hat I have ever found- the brim is big enough to cover your face and neck and it’s both stylish and practical. I can’t wait to wear it all summer! I love the hat! Very packable and versatile! Perfect for European beach vacation! I am petite and have a small head, so a lot of hats are just overwhelming. While still a large hat, this one looked great on! I bought it for a trip to the beach but have worn it around town a couple of times. I wore it while gardening but it was quite a hot day and I started sweating on it so removed it, but on a cooler day would use it again. It’s a heavy and substantial material so I do feel like it’s well worth the money! This hat was perfect for a long weekend at the beach. I like that the inside has a string to adjust the hat a little tighter on windier days. It provides the perfect amount of sun protection while being extremely chic and flattering at the same time. So glad I purchased this hat! As always, it arrived very quickly too. Love this hat! It's so pretty, I can't wait to wear it. This hat is beautiful and would have been perfect had it not been for my big head! Some of the reviews seemed to suggest this would work for big heads but alas, my head is still too big. Sadly, I had to return the hat. It's a very well made cute sun hat. High quality. I bought the hat for a polo match, but have been wearing it to the beach constantly. I would highly recommend it! Love this hat! It's the perfect size for shading my face and neck, the bow is adorable, and the quality is great. This is a really nice hat! I had always wanted one and finally got it during a recent site wide sale. The construction is very nice and very sturdy, not flimsy at all! In fact it doesn't feel like it would even be packable it is so nice! The best part is that there is an adjustable ribbon inside that you can pull to tighten. I got the navy bow and really love it, it matches everything! It will be great to travel with! Highly recommend!! I've had trouble finding a hat that gives me good sun protection without being too floppy/dysfunctional until I found this hat. Definitely a winner! This is my second hat purchase (first was the cream bow)! Best hat for a beach vacation or a lovely afternoon on the shore. Highly recommend for anyone looking for a classic and always perfect outfit addition! I purchased this hat specifically for our summer vacations, and it's perfect! Love the size, and the style/color are classic! Would definitely purchase other again. Cute - Just like photo. The hat was packaged nicely so that it arrived in perfect shape and very quickly. This is such a staple sun hat. The style and strong material will make it last through the years! Love the hat. It's wide enough to keep the sun off your face and the large bow makes it. This hat fits like it was made just for me - love the adjustable ties. It covers well and is the perfect size for everyday wear. I was never one for wearing hats to the beach and on the boat, but this hat is so cute, I can't stop wearing it! This hat does not only look great but it's so practical. I hate worrying about a hat getting ruining when you pack it and this one maintains its shape no matter where you put it. This hat is as fantastic as everyone says! Shipped in perfect condition. Brim is wide and provides great sun coverage. 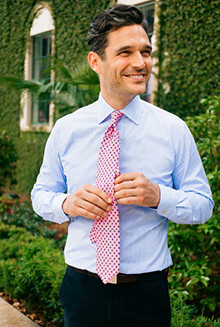 The inside tie allows for perfect fit. Stays on even on a windy beach day. Purchased with navy ribbon. Great hat! Fits well and has an adjustable strap inside. I love that the back of the brim is shorter than the front so you still have sun coverage without being cumbersome. good size, ADORABLE, & worth the price considering its difficult to find a good bow hat! This hat is so cute and useful! It blocks out the sun and goes with virtually every outfit. Love love love it! It is a super cute, very versatile hat. I received a number of complements on it. 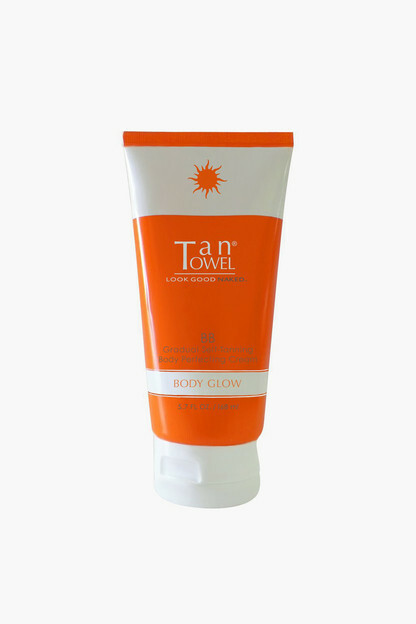 It also offers great sun protection! I brought this hat with me on our beach trip to Charleston. It has the perfect amount of coverage (not too wide and silly, but still covers the face and doesn't look stupid! ), I was able to brush off the sand that inevitably swept up on it, and I got a lot of compliments. Plus, the navy is on point! I purchased this hat for the many days I spend at the beach and it is absolutely perfect. I love the wideness of the brim for reading out in the sun as well as shell seeking on the beach. Every time I wear the hat I receive so many compliments. 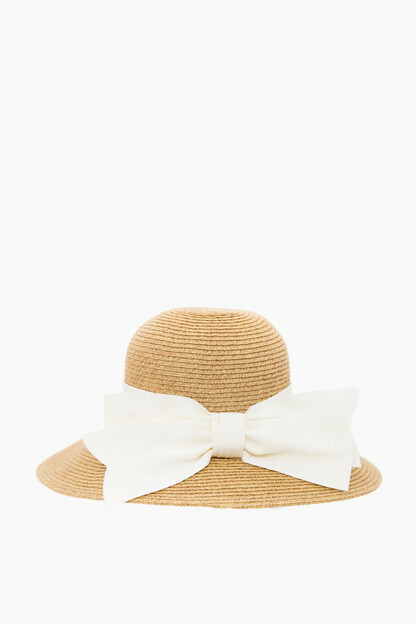 The bow gives this sun hat a truly classic look. Bought this hat for a trip to Bermuda. Very pleasantly surprised by the quality. After being crushed in my luggage it reshaped beautifully. Large enough to provide protection at the beach, snug enough with the adjustable ties inside for a windy boat ride and pretty enough to top a dress. Perfection! Wow, this hat is beautiful as well as practical! It looks great with my haircut which is always tricky. I've always known I should wear a hat outside but could never bring myself to do it. Now I don't even want an excuse because this hat is wonderful. Can't wait to pack it for an upcoming vacation in Maine. Thanks! Super fast shipping and the hat is perfect! This hat is so cute and absolutely ideal for all summer activities! I wear a lot of navy in the warmer months and it goes with everything! The bow is just too adorable! Love love love!!! Nicely made hat but fit too small. Wasn't comfortable so I sent it back. This is such a classic, timeless hat. It fits just perfect and the brim can be adjusted to suit your taste. The bow is thick quality gross grain. Excellent investment!! Purchased this hat for a sun vacation and it packed well, was adjustable during the winds that came up, and added a layer of class! Love it! I adore this charming hat! I really want this hat in all three colors! Looks fabulous, protects your skin and as Tuckernuck said, "It's packable!" This fun and classic bow hat goes with everything! Can't wait to take mine to the beach or brunch! So cute!!! I love this hat. Perfect for the beach and riding bikes. I am saving this hat for an upcoming trip and can't wait to wear it- it is flattering on everyone (my daughters tried it on as well) and looks to be very well made. Great purchase! Gorgeous! Very high quality, I have gotten tons of compliments. I looked everywhere for a sun hat with a navy bow. Everyone had black, but not navy. Dressed up or dressed down, it's perfect! Resilient, too! This hat is a total winner. Lots of compliments. Great shape, fun ribbon and conveniently packable!! Your wide brimmed hat keeps the sun out of my face and even stays on in windy conditions thanks to the draw string and ribbon band. It's so stylish yet practical. Love the hat, it is a darker neutral color but I think the photo is accurate. Bow is adorable! Can't wait to wear it this spring and summer. LOVE THIS SUNHAT SO MUCH, I'VE BOUGHT TWO!!!! ONE MORE TO GO!! This hat is exactly what I was looking for! Perfect for spring and summer. The bow is adorable! Will be ideal for my honeymoon on the beach! Highly recommend! Love the material and the way the bow is knotted. I am so happy that finally bought this hat. The bow is perfect and the fit is just right. This will look great with all of my dresses and swim wear for my trip to Florida in March ! I really enjoy this hat. When it arrived it came a bit darker than I had expected but I love it anyways. It will be perfect with a sundress. This hat is the perfect accessory if you are traveling somewhere tropical! It actually does fold up and remain in great condition, so happy I found it! The adjustable strap inside is a nice touch too, one size can fit all. Beautiful Hat - nice structure! Beautiful hat! It's a nice size - not so large that it flops around and not so small that it doesn't make a statement. I with the straw/woven part was a little lighter of a tan color b/c it's darker than I thought it would be but it's really nicely made and looks great! I live in the Virgin Islands where the sun is super harsh - this hat had lasted through wearing it almost every weekend. Lasted through stuffing it my beach bag, wearing it in the salt water and hanging it up to dry (sometimes rinising it in fresh water but not always) and leaving it sitting in the sun on my deck for many days at a time. It still looks brand new and the brim still stays out of my face. I've recommended this hat to all my friends who need more protection than a baseball cap. It's really great! This hat is wonderful - very flattering, elegant cut, provides coverage from the sun, and can instantly upgrade an outfit from basic to chic. However, it is not packable. I took it on a short trip where it was in my suitcase for ~3 hours and the material creased in numerous places and has not returned to normal 3 weeks later. Other than that, I highly recommend! I have fair skin and am always searching for the perfect summer hat. I've been eyeing this one for weeks now and am so glad I finally ordered it. This is by far the best hat I have ever bought- and I have many! It is adorable with sundresses, shorts or with your bathing suit. Thank you! In my effort to be sun-safe this summer, I came across this hat. It is perfect with everything ... Jeans, shorts, seersucker dresses! I get compliments every time I wear it. This hat is so cute, comfortable and sturdy. It really keeps it shape after you flatten it. The color of the hat is a little bit darker than the picture on the website. So happy with my first tuckernuck purchase!! Very cute with the monogram on the bow and adjustable tie inside to make it tight enough to prevent the wind from blowing it off. Perfect straw hat for summer! This is the perfect hat for vacation. It packs great and looks great too! The bow gives it a little something special. Love my new hat! It’s super cute and flattering. I have a small head and I can tighten it to stay on my head. It fits snugly and I’m not worried about it flying off. I can’t wait to wear it on vacation! 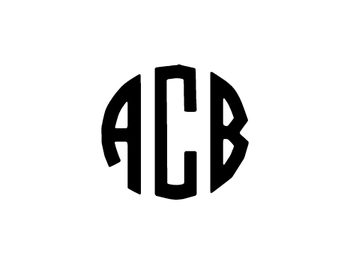 I didn’t get it monogrammed because I wasn’t sure I would love it, but I do and wish I would have. It would make it even better. Perfect for covering “bad hair days” I get tons of compliments on it, & it’s Very comfortable. Going to buy another color!! This hat really does stand up to all the hype. I never look good in hats (I wear glasses), but this hat was cute even on me! I stuffed it in my carry-on on a recent trip to Cuba, and it held up perfectly. The style is super cute, the quality is great, and the price is unbeatable. I can’t say enough about this hat. Had skin cancer in the part of my hair and Dr said always wear a hat when out in the sun along with 30+ sun screen! I love this look! Great hat that provides the right amount of coverage for the sun! Love the monogram on the bow! This hat is so chic and LOVE IT with a monogram! Beautiful hat!! I’m ready to hit the beach this summer! I have the navy, black and now cream. Cute, packable and a great price. Thank you Tuckernuck! This hat is both super flattering and the perfect coverage for being out in the sun. Love that it is adjustable on the inside to make for the perfect fit! My all time favorite hat. I love that it’s packable. It’s great for beach vacations. You won’t regret getting this timeless sun hat!. Pack it in your luggage and it unfolds perfectly ready to go for a beautiful beach day. I love this hat! It’s perfect for protecting your face from the harmful sun rays. It’s also very cute and adjustable. I love that it’s packable too. Brought this with me every weekend this summer! Kept it's shape through my summer Euro trip! This hat is great, it kept the sun off my face and maintained its shape through travel in four different countries and lots of tight luggage! I've had the navy bow hat for a couple years and finally pulled the trigger on the white - love it that much! My only complaint is that two years later, "packable" is no longer accurate....it has definitely lost its shape. Gorgeous hat beautiful quality and bow detail. I’m not sure how packable it is as I haven’t tried packing it . Also think it best for a stroll through Charleston or Falmouth on a hot afternoon or poolside rather than the beach. Who really needs another hat?? My daughter tried this hat on in your store and sent me a couple of pictures modeling it. Her comment was it almost has my monogram on it too! This hat is perfect, but I really don't need another hat. So I quickly got on line ordered it without her knowing and she'll be getting a surprise on her birthday! She was right this hat is Perfect! This is a fantastic hat—cute, high quality, lightweight and adjustable. I get lots of compliments when I wear it, even from my husband. This hat is lovely, great quality, fits perfectly, the bow is classic and the shade it provides is wonderful for these hot sunny days. I had the bow monogrammed and it is a special added touch. Highly recommend!! Perfect! I have been searching for the perfect beach hat and this is the one! I have never liked hats on me, but this one is PERFECT!!!! So pleasantly surprised. I ordered this hat for the Kentucky Derby and it was beyond perfect. In fact my sister loved it so much that she even ordered it. A great bonus is that it truly protects your face from the sun. it is classy and preppy, a perfect summer hat! I can’t describe how much I love this hat! But After waiting for it to come back in stock, as soon as it came in the mail I put it on and wore it! I got several compliments on how good it looked. Can’t wait to wear it on Easter! Whether you're 20 or 80 this is a classic. Lovely quality, packable and cute shape. I purchased this hat for an upcoming trip. I was very impressed with the quality upon its delivery. I bought both the black and white ribbon hats for a recent vacation. Each was stylish and perfect for keeping the sun off my face! I got caught in the rain once with one of them, and it still looks great! Purchased this hat as a gift for my girlfriend and she loves it! Very easy to fit and looks great. I got lots of comments on this adorable hat! Great for traveling! This is a gorgeous summer hat. Provides good coverage from the sun while staying in place (no floppy brim). The bow is a gorgeous cream color too! Being a mom of two little ones I look for items that are cute but also practical - and can withstand a little wear and mess! This hat is perfect. Flattering, retains its shape even after being crushed, and provides just the right amount of shade. I have a bigger head and thick hair and it fits comfortably too. Lots of compliments every time I've worn it! Great hat! Stay in the shade and look stylish!! Hat fits well. Also got hat monogrammed and while I am a more traditional monogram style, i ordered a block monogram style hat as a gift. After seeing both styles in person, I prefer the block monogram over the script monogram. This hat is soo adorable! I can't really speak to it's packability and durability, as I have not worn it yet, but it's the perfect summer getaway hat! Love the hat .... one issue was the font - be sure you looked k and see what the letters look like in different fonts. Love this hat! It fits perfectly and can go from the city to the beach. The bow is a bit bigger than I was anticipating, but it's beautiful and not overwhelming. I absolutely love this summer hat! It has just the right amount of structure, so it can be dressed up and down. It's literally the perfect sized brim to provide ample shade to your face without being awkwardly floppy. Great to wear to a wedding or picnic, but also can be dressed down to wear to the beach. Really great find! This hat is beautiful and classy while still managing to look relaxed. I brought it with me on a trip to Lake Tahoe last week and it was perfect for chilling on the beach. I didn't pack it, so I can't speak to that functionality, but I did fall into the lake while wearing it, and it seems to be fine after reshaping it while it dried. It really is such a lovely hat! Nice-designed and stylish hat for summer getaway. Love the wide ribbon and definitely does its job of keeping the sun off my face. Can't wait to pack it for a trip to the south of France later this summer - so stylish! This is a cute hat! I love the idea of it being packable, and it fit my head perfectly. However, I found the straw to be slightly darker than pictured, and the width of the brim made me feel a bit frumpy. A wider brim would be more flattering, in my opinion, but I have seen this look cute on other people, so maybe it's just me! I now have the cream and the blue-ribbon hats. The hat is lovely--classic, fun, fabulous on a bad hair day, and provides much-needed protection from the sun. And it is truly packable! A hat can go a long way in saving an outfit and providing some much-needed style. Thank you, Tuckernuck! I couldn't be more happy with this sunhat! It fits well, and I just love the size and color of the bow. Perfect addition to any spring or summer outfit without being overstated. So happy with this purchase!! It is exactly as pictured and expected. As mentioned in an earlier review the drawstring really helps keep the hat in place. I also was outside in 100 degree temps for an entire day and it remained light and comfortable, while providing the best sun protection for my face. I did however fold it to fit it in my suitcase and it left a seam that still has not gone away. When packing make sure it remains flat so you can avoid a similar issue. Couldn't have asked for anything more! I've been on the hunt for the perfect hat to shield my face from the sun and this one delivers! The brim is the perfect width, the grosgrain is a very nice quality. The hat looks much nicer than the price would allow. I have a very large head, and this fits perfectly. That said, there's an interior ribbon you can use to adjust the size if necessary. I love this hat so much I'm considering ordering it in the navy as well. I was a little skeptical of spending so much on a hat but I'm VERY happy with my purchase. The design is timeless, the brim is not too small or large, and the hat is very study, especially thanks to the interior ribbons you can use to tighten the hat. I look forward to wearing this beautiful hat on lots of beach trips this summer! This hat looks great without looking overdone. In other words you can wear it every day and not look like you're going to the horse races. It's amazing quality and very durable; you can bend it and it will return to its shape. I wish it came with a gingham ribbon, I'd get it then too. Love, love, love! This hat is both classic and stylish. It fits beautifully and packed well for vacation. It even stood up to beach winds. Great purchase! 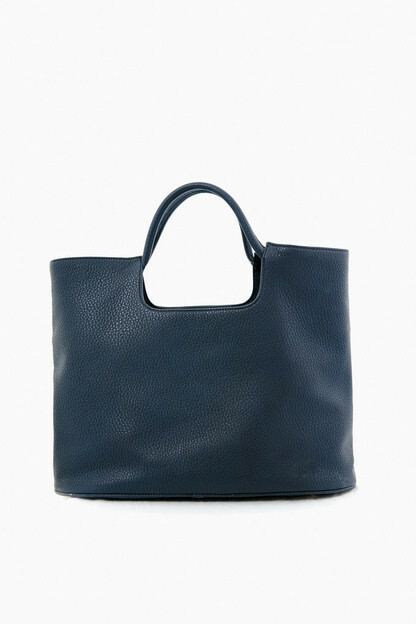 My favorite accessory - cute, comfortable, a joy, easy to pack. When we saw my daughter-in-law wearing it on the beach, all the girls it the family ordered in then and there - each in a different color ribbon. I leave mine on our hallway table because it's beautiful. I absolutely love this hat! It's the perfect, stylish alternative to a fedora or panama hat, all of which I love but wanted something a bit more feminine. The wide ribbon and bow give it a very classic look. I love that you can adjust the size (inside the hat) so it stays put on a windy day, which worked perfectly when the wind came up on a recent trip to Hawaii. Classic hat, so happy I purchased this! I purchased one for my mom who is 58, and one for myself (32 years old). This hat looks good on any age! It's simple and classy. Cute hat. Flexible yet retains it's shape. I don't know if I'd feel comfortable totally squishing it in a suitcase without putting stuff kind of around it but I would definitely say it's packable and not something that has to be treated as fragile. Love the hat, perfect for sun protection and very stylish, will order another in black. Bought two hats (one for me and one for my mom) for vacation and they were perfect!! Everyone was obsessed with them and now all the ladies of the group want one! Definitely would recommend for any beach trip! Love this sunhat! Perfect gift for anyone who loves to spend time at the beach or pool! Fabulous product! I have this to a friend for Christmas to use on her upcoming honeymoon to Spain and she absolutely loved it. Perfect size plus it won't get damaged when packed! This hat is just adorable! I bought it in black and ivory. The cutest hat ever. So excited to wear it this summer. Don’t hesitate to buy this one. Love it. I have been on a quest for a cute, packable sunhat and this is THE ONE. Perfect amount of coverage, stays on your head even while on a boat, adjustable, and super cute. Love it! This is the perfect Sunhat that goes with almost anything!! The brim is just big enough to protect you face. It is lightweight and packable. Perfect for traveling!! It was perfect for traveling. It lacks without damaging the structure of the hat. Really pleased with this hat. Provides just the right amount of protection from the sun without being overwhelming. Interested to see how it holds up on our trips to Sri Lanka and Australia being packed and repacked for 6 weeks. This is a great hat for a convertible ride. Hidden size adjustment for nice fit. Black bow adds a nice feminine touch. A + for the style of this hat. Beware, the hat does not breathe. I purchased a navy and black sunhat for a trip to Italy and Greece. The hats DO travel well. The only problem is when it is very hot, they are not ideal. This hat is the best out there. The price is perfect. 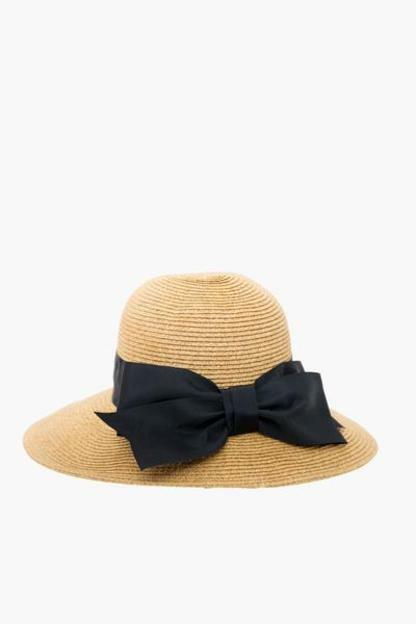 The brim is just right and the bow is classic without being obnoxious or girlie. I took it on vacation to South Carolina and it was a must for the beach and around town during the day. TNUCK keep up the good work . I am 43 and can always find some great age appropriate items that are still youthful and fun. It is a lovely, well made hat. Unfortunately the brim is not wide enough for the beach for me. I had to return it. I bought this hat for our upcoming trip to France and tested it out at the lake over the Fourth of July. It worked perfectly as stylish protection from the sun. Some reviews mention a tight fit, but for me the snug fit is exactly what I'm looking for. I wasn't worried the breeze on the boat or a gust of wind would blow it off my head! Packable, durable, versatile: this hat is everything you need for summer adventure. This is a beautiful hat! I was worried when some reviews said it ran small. I would agree, but I have a smaller head and it adjusts if you need it smaller. If you have s larger head than it would not work. I love wearing it to the pool and beach! Bought this hat for a 2 week trip to Europe. I absolutely love it! Great sun protection and oh so ever stylish! This hat seems slightly smaller in overall diameter than the picture shows. Also, it’s billed as “one size” but it seems to run small and gave me a headache after only a few hours of wearing it. Sadly, I now cannot return since it’s been worn (but how do I know it isn’t comfortable if I don’t actually wear it?) So I’m a little bummed to be out of the money spent on a hat I cannot wear. BUT if you’re able to try it on in store and you have a smaller-than-average head it would be perfect. It’s otherwise beautiful and seems well made. Alas, the hunt for the perfect packable sun hat continues for me. Just adore this hat. I had been eyeing it for a while and finally went for it before a trip this winter. It truly is packable and does not loose it's shape at all. It's super comfortable, offers amazing protection from sun and is super cute. Very happy with this purchase and am thinking about getting it in another color. Took this lovely hat to the beach with me. It was packed in my suitcase flat. I was nervous it would lose shape but it unpacked well and the shape maintained beautifully! Now it's my gardening hat until my next trip to the beach! Such a classic to have for many years to come. This is my second hat! Already have it in cream!! Love, love!! Looking stylish while providing shade for your face. Very comfortable, you can fit it to your head by a drawstring! Perfect! I bought this as a gift for my sister and she absolutely loves it. It looks cute and it packs so easily without getting permanently crushed. Great for travel or stuffing into a beach bag! I was looking for a sun hat that was classic and provided enough shade for my face so I wouldn't have to goop on sunscreen. This worked perfect! Also? My son smashed it into a far corner of the car and I pulled it out and it reshape perfectly. Love this hat - it's really comfortable and a great way to pull together a outfit. The internal drawstring/hat sizer is very useful too. I've received tons of compliments so far. What a great hat! My favorite part of this hat is that it's adjustable! I usually have SO much trouble finding hats that fit (all of them are too big) but this one was perfect! It travels well - I had it in my suitcase and it reshaped like new! The only issue I have is that the edges of the bow are already fraying and I've had it for less than a month! I'm worried that by the end of the summer the bow will be in tatters. 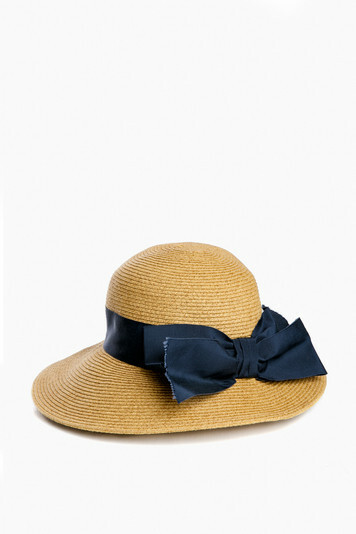 I bought the navy hat last summer from Tuckernuck and was thrilled to see that they were back in stock this summer!! This is the best hat ever.....sun protection, classic and a bow.....it doesn't get much better.I'm about to order the cream colored one and this time, I realize they can be monogrammed....even cuter! I have stashed this hat in my pool bag twice now, and each time it comes back out looking good as new. It really is "packable" but looks like a regular sun hat. Brim is just wide enough to shield your face from the sun. I also like that you can tighten it with the cord inside the hat so it won't blow off! Nice hat for the price. Lovely hat, my only complaint is the the top sinks in instead of holding a round shape. It maybe is supposed to be that way, but I prefer the rounded look. THAT BEAUTIFUL SUNHAT WITH BOW!!!! I am more than pleased with the quality, style & packing ability of this hat than I ever thought! It was recommended to me and I am passing the word on to all I know! Finally found a great sunhat! This hat is the perfect size and not too stiff. Love it!! This was a gift - very durable and flexible, bow in back is nice and subtle. This hat is so sweet with the bow detail. Will definitely be wearing on my next beach trip (and probably all summer long!) I got the ribbon monogrammed, and it looks great. I seriously love this hat. So cute (while still being classic) and truly easy to pack... doesn't look like it's been smashed in a suitcase at all! It also has a tie inside to make it more fitted which is helpful for when the winds pick up on the boat, etc. Bought this hat to wear on my cruise to Europe last summer. So stylish and just the right sun coverage. I bought it in the cream color. Now I need to buy another color! Popular and classic. Center letter will be largest. 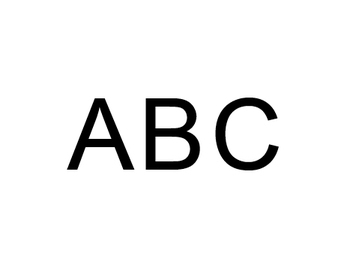 Enter your monogram exactly as you would like it to appear from left to right. 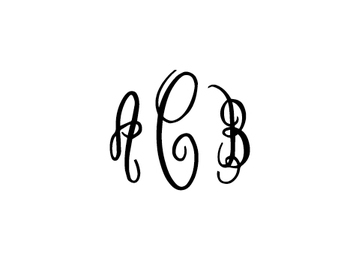 Monograms will be made in the letter order in which the initials are entered and will not be rearranged. Please allow 7 - 10 business days for this item to ship. Selecting expedited shipping will not change this production time. Due to the custom nature of this product, all sales are final. Stately and modern. Center letter will be largest. 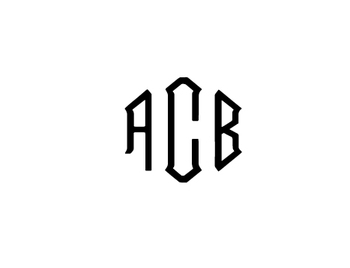 Enter your monogram exactly as you would like it to appear from left to right. 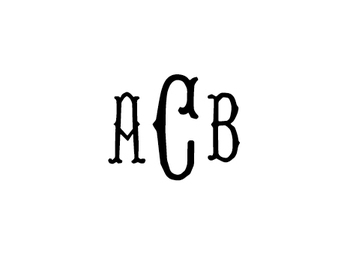 Monograms will be made in the letter order in which the initials are entered and will not be rearranged. Please allow 7-10 business days for this item to ship. Selecting expedited shipping will not change this production time. Due to the custom nature of this product, all sales are final. 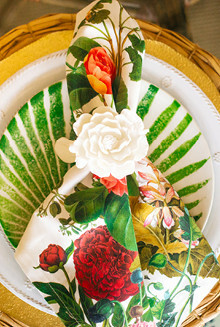 Fanciful and elegant. Center letter will be largest. Trendy and sophisticated. Center letter will be largest. Center letter will be largest. Traditional and sophisticated. Center letter will be largest. 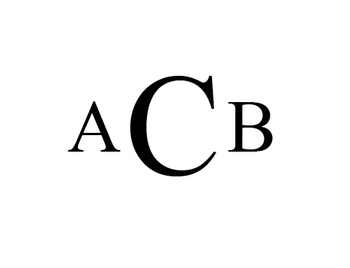 For two initial monograms, letters will be the same size. Classic and modern. 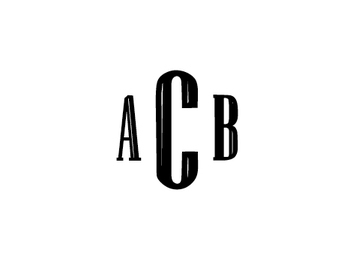 Available as a one or three letter monogram. All letters will be the same size.